On display are over 1400 exhibits. These include 101 tractors from 1912 onwards, including the oldest working tractor in New Zealand and thirty vintage cars from 1905. An interesting collection of classic cars. 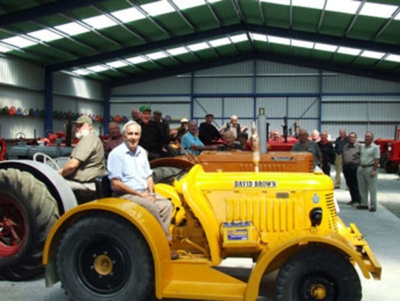 There are many items of farm equipment including hot air engines, stationary motors and a Threshing Mill. Also on display is a 1929 Spartan Biplane, household items, agricultural equipment and much much more. This museum is run entirely by volunteers. Guided tours by arrangement preferred.